Albert Edward Hobbs was born near Henley, Oxfordshire in 1871. He was an architect and a surveyor in the town for fifty years, served on the town council, kept the local rainfall records, and was a president of the Henley Fishing Club. But it is for his numerous angling writings that he is best known. He is considered an eminent authority on all matters of angling, having caught some 800 large trout in his lifetime. Many of his specimens were mounted and when a request was put through to Brakspear's brewery in Henley to dispose of some glass cases in their ashpit, it was discovered that these cases contained most of A. E. Hobbs's collection of fish. They were saved and are now on public display at the River and Rowing museum in Henley. 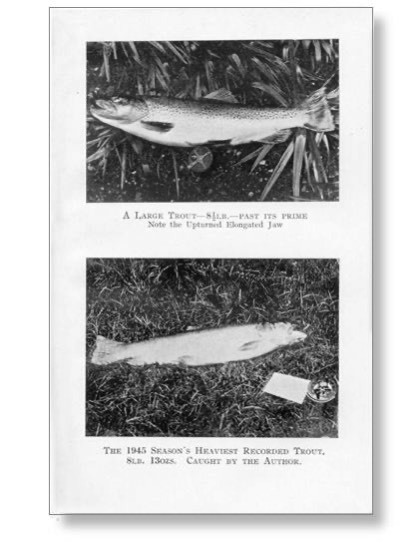 Trout of the Thames is a book based on his articles for The Fishing Gazette and is a record of his long experience of Thames trout fishing. A. E. Hobbs died aged 92.